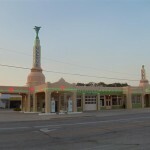 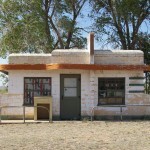 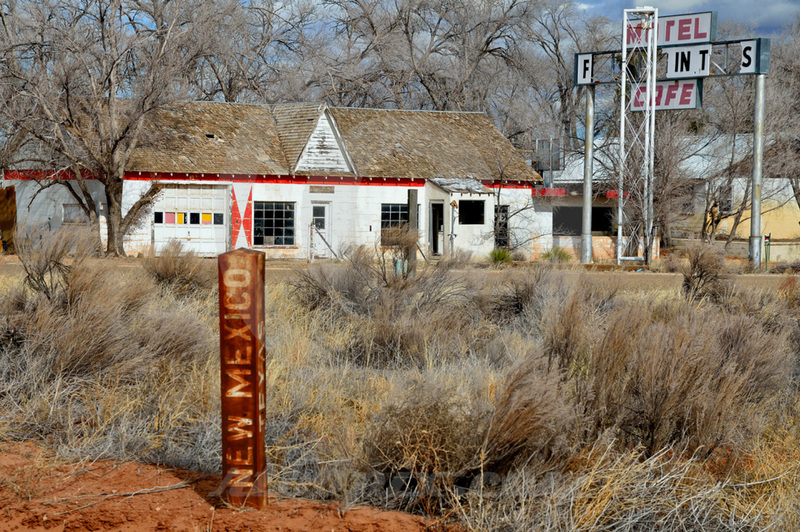 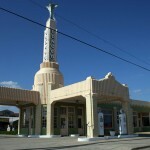 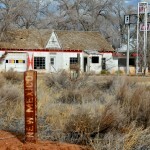 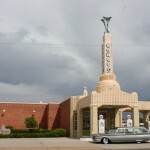 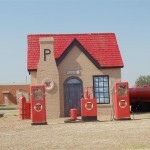 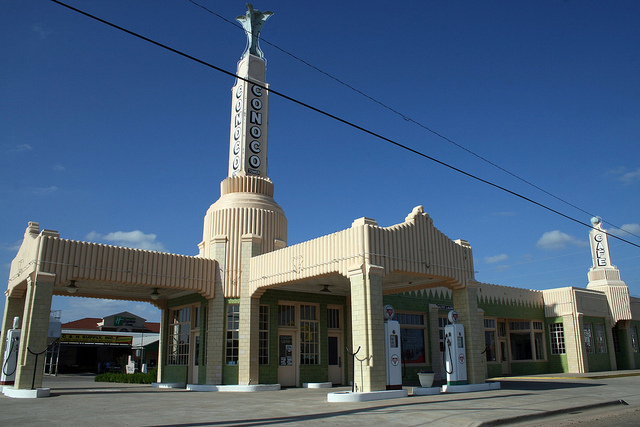 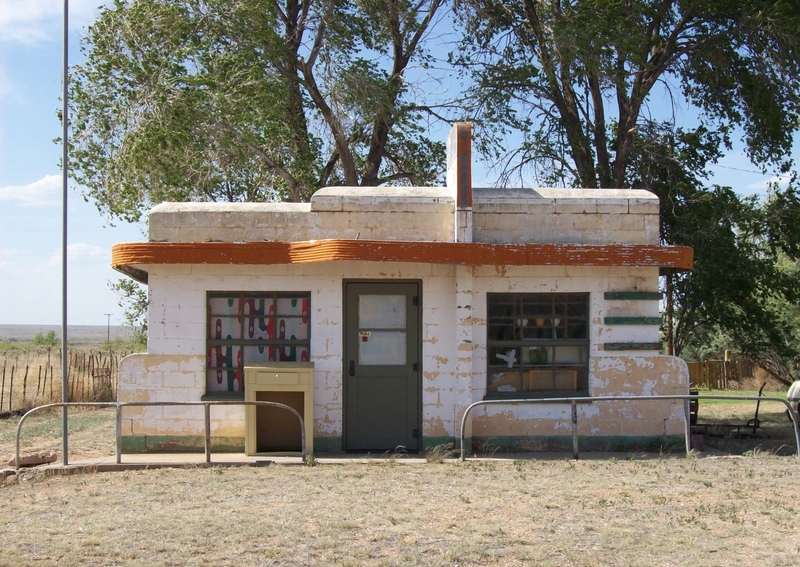 The former U-Drop Inn service station and motel in Shamrock was built in 1936 and remains one of the most beautiful buildings of the time along Route 66. 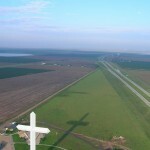 It is recognized from afar by its two towers. 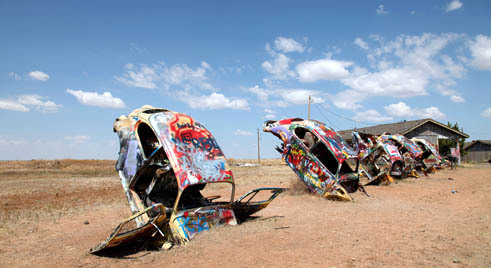 In the movie “Cars”, the U-Drop Inn houses Ramones garage. 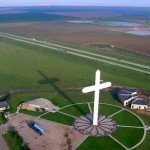 The Giant Cross (Giant Cross of Our Lord Jesus Christ) in Groom is visible for tens of miles around. 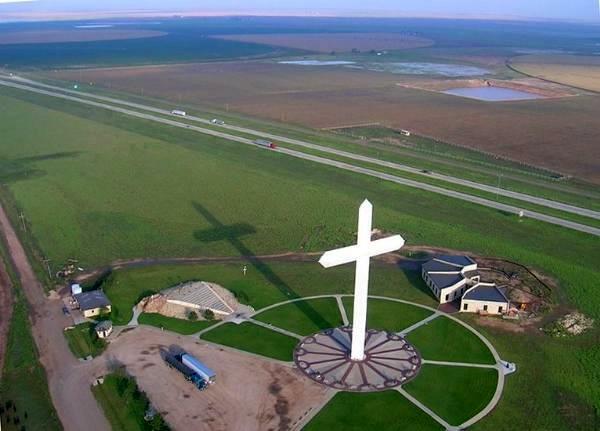 With its 190 ft., it dominates the plains of eastern Texas, like a sparkling white mirage in the middle of nowhere. 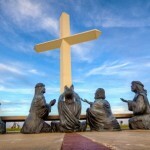 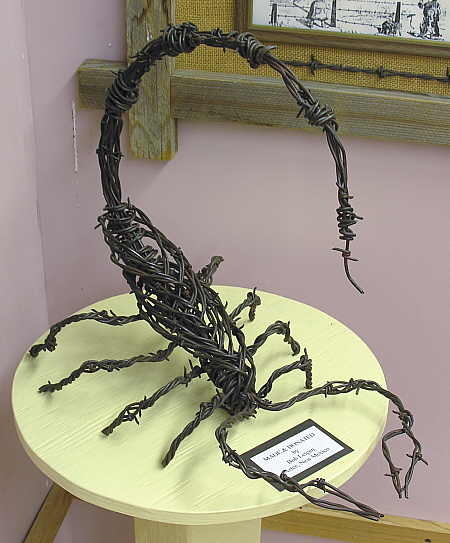 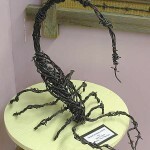 Around the building, a series of sculptures depict Christ’s passion, while near the religious gift shop (! 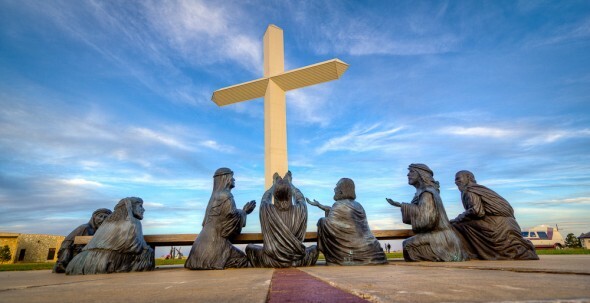 ), The Messiah stands at the heart of a soothing fountain. 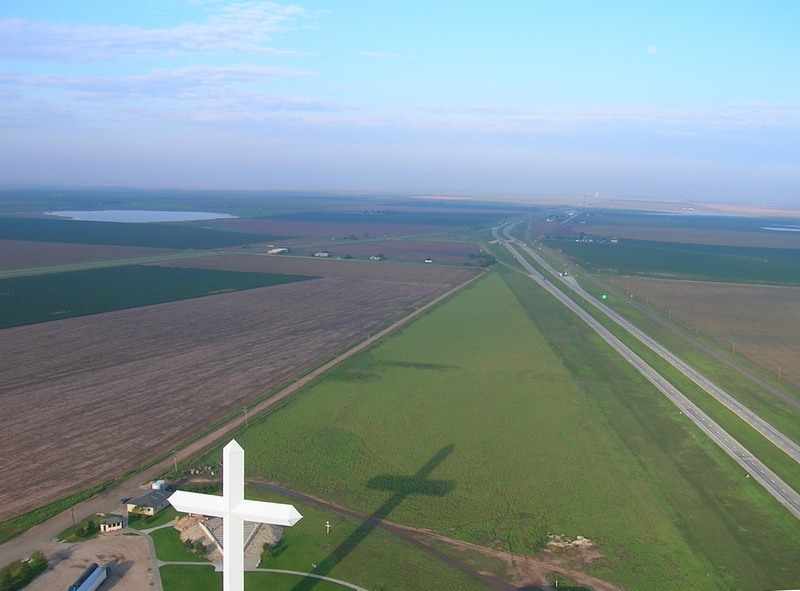 There is no doubt about it, we are treading “Bible Belt” territory. 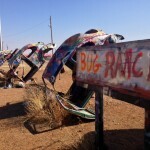 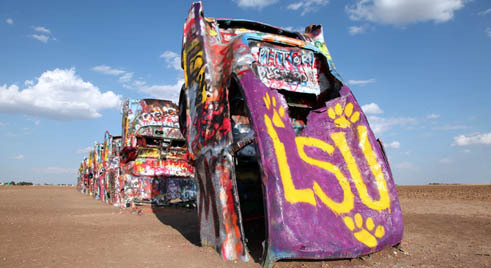 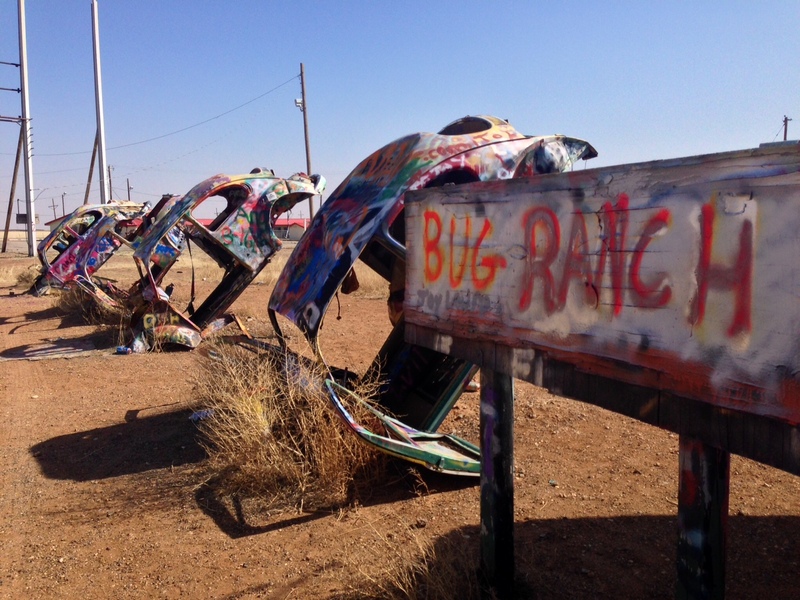 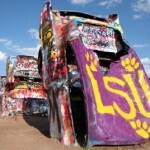 The Bug Ranch in Conway is an interpretation of the “Cadillac Ranch” in Amarillo, which we will encounter a few miles down Route 66. 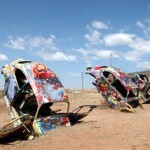 Here, old VW beetles were nose-driven into the ground and left with their doors open, as bugs crashing on the desert floor of this small community, dotted with numerous abandoned service stations. 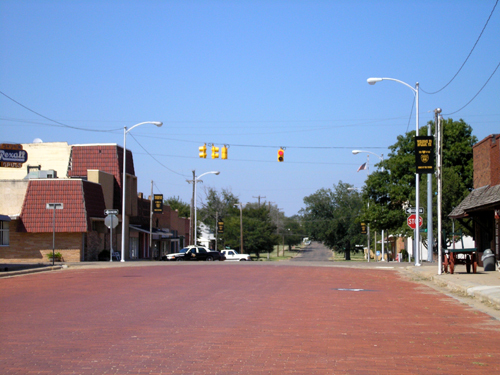 The McLean Commercial Historic District is along North Main, First, and Railroad Sts. 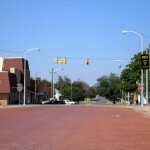 roughly bounded by Railroad, Lowe, Second, and Gray Sts. 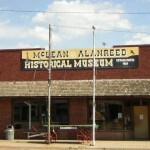 in McLean, TX. 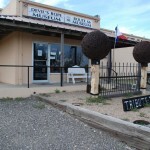 The former Masonic hall at 220 North Main St., now housing City Hall. 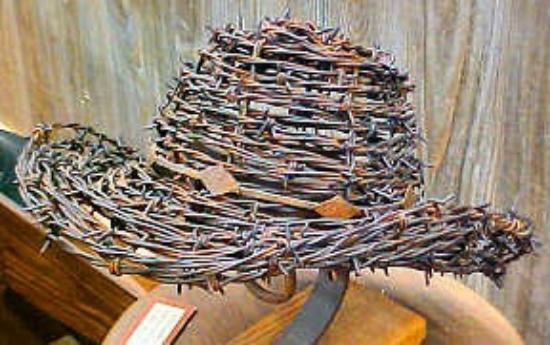 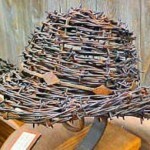 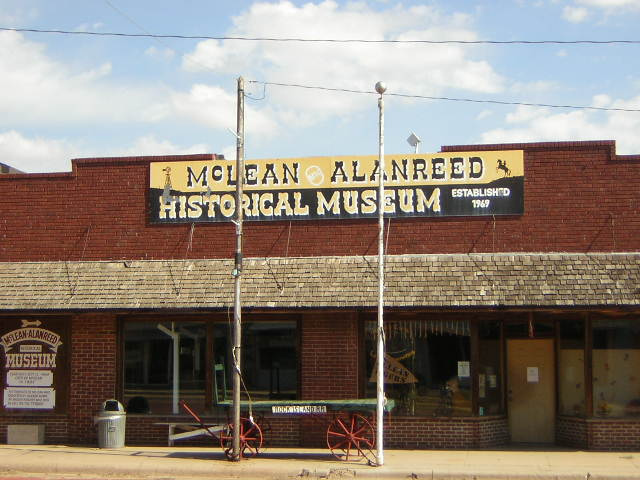 The McLean Alanreed Historical Museum is at 116 South Main St. and is wheelchair accessible. 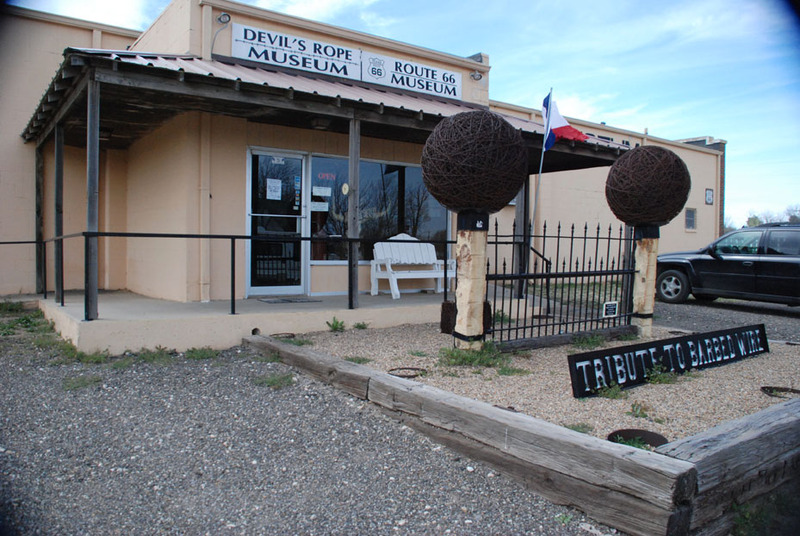 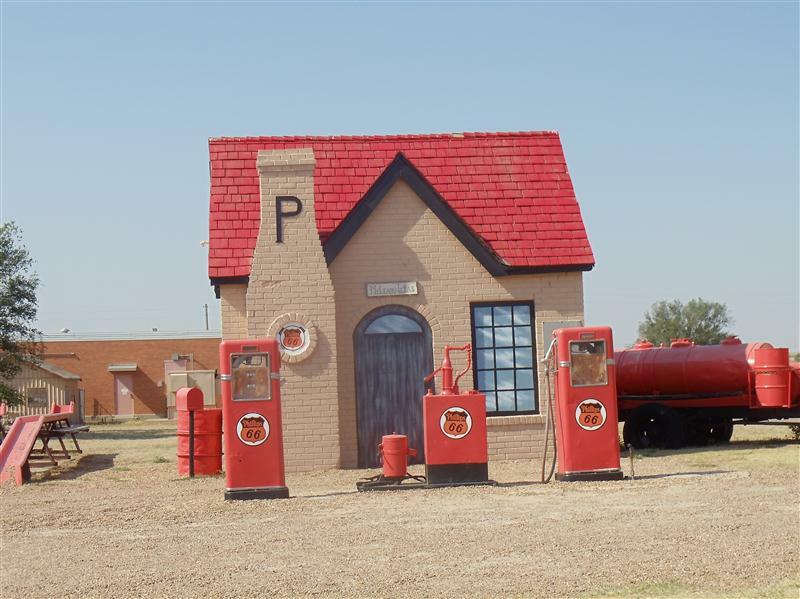 The Devil’s Rope Museum at 100 Kingsley St. is not in the historic district but is a good local stop that houses the Texas Old Route 66 Museum and is wheelchair accessible. 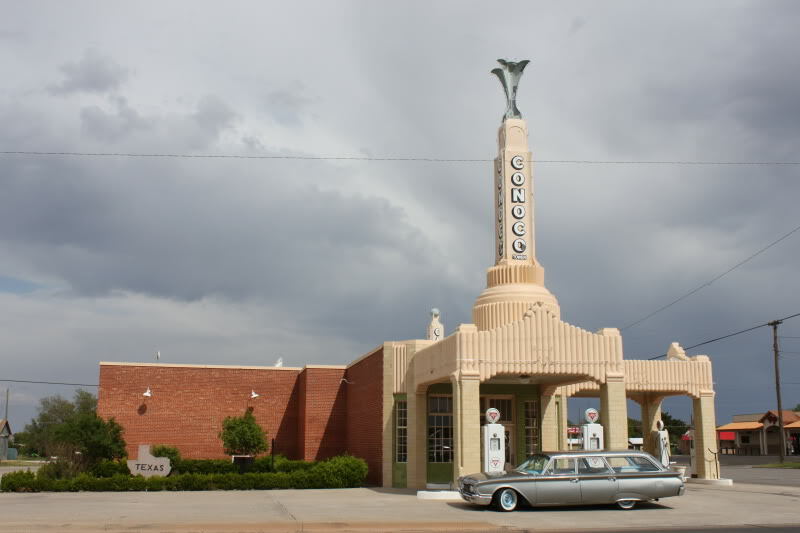 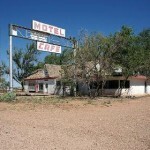 Travelers driving Route 66 across the desert could see a world of stars at night, with Glenrio providing some of the only light pollution around with its diners, bars, western-themed motels, a dance hall, and gas stations. 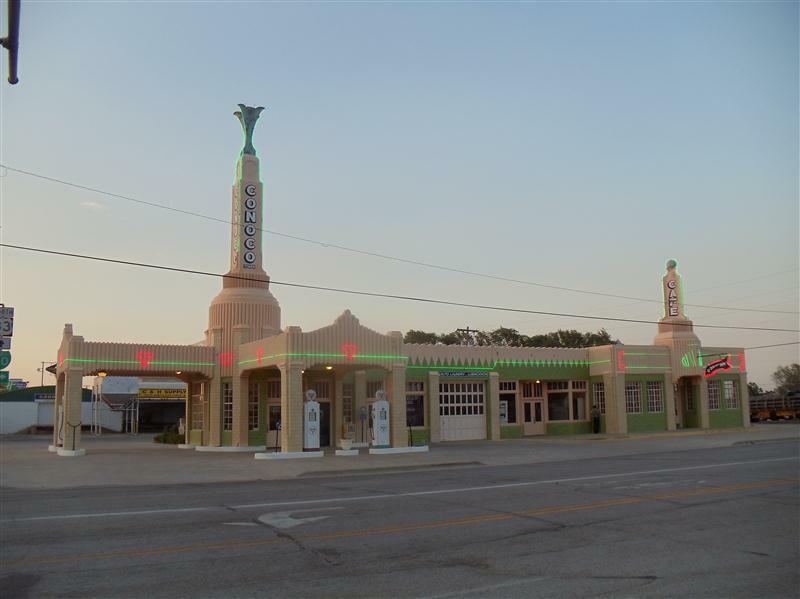 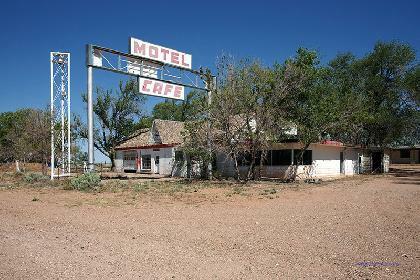 Glenrio was a flash of neon in the desert, an overnight Mecca, and a spot of evening cool in the days before cars had air conditioning.